Attorney Search Network can refer you to a pre-screened Ventura lawyer. Our Ventura County network of panel attorneys is one of the largest and most extensive collections of pre-screened attorneys in Southern California. Select the practice area that fits your current legal need, from Bankruptcy to Wrongful Death, and we will provide you with a Ventura Lawyer Referral. Get a Ventura Lawyer Referral, call us toll-free at (800) 215-1190 or provide your contact information in the contact form, including the appropriate legal area. We will contact you and try to refer you a Ventura lawyer that represents the best possible fit for your case. Your feedback helps us create a better lawyer referral service. 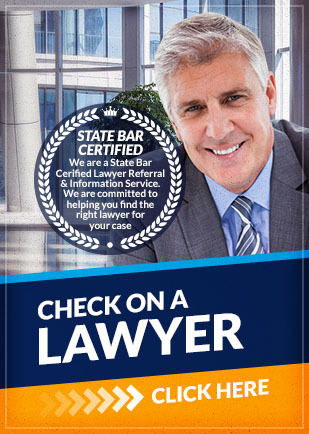 We have worked hard to ensure that we refer the best possible lawyers in the Ventura Bay Area. As a result, we have a perfect "A+" rating with the Better Business Bureau. If you have any questions about the information provided above, please contact us. Call Attorney Search Network toll free at (800) 215-1190 or fill out our online form for a Ventura County lawyer referral.